The controversial trial of former Lord’s Resistance Army commander Thomas Kwoyelo has taken a discouraging turn. The first former LRA rebel to stand trial, Kwoyelo has applied for amnesty through Uganda’s Amnesty Act of 2000 but has not been granted it. Furthermore, the Ugandan government is now attempting to strike down the Amnesty Act – a vital tool for encouraging LRA commanders and rank-and-file fighters to leave the group – by contending that the law is unconstitutional. Since its adoption in 2000, close to 13,000 LRA members have received amnesty under the act. If the country’s Constitutional Court rules that it is unconstitutional, the decision could have devastating impacts on efforts to bring the nearly 25-year-long LRA crisis to an end. The Kwoyelo trial could mark a crossroads in Uganda’s approach to the LRA conflict – a possible shift to a largely retributive approach to justice. 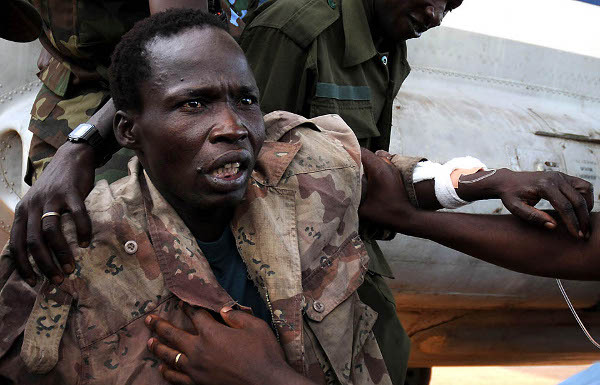 Under the Amnesty Act, current LRA rebels can receive amnesty if they renounce and abandon involvement in the war. Amnesty enables them to leave the group without fear of prosecution and return home where they frequently face many other challenges. Eliminating the possibility for current LRA to receive amnesty would discourage them from defecting and prolong the suffering and rebuilding of communities affected by its violence. The LRA’s long history of forcibly abducting its fighters – both children and adults – makes the conflict different from many others and necessitates an approach that addresses those differences. Such an approach should include criminal justice for those who bear most responsibility, amnesty for others (including those who have been abducted and forced to fight), and traditional justice mechanisms. During Kwoyelo’s trial, Mutesi has asked the Constitutional Court to deliberate on the constitutionality of the Amnesty Act. She said that it violates Uganda’s international legal obligations and contravenes sections of the country’s constitution. Although it is true that the amnesty was originally supposed to remain in force for no more than six months, it is unclear why it was considered constitutional during those months and is now being contested. “Prosecuting my client instead of granting him amnesty like so many others is discriminative," argued attorney Caleb Alaka in the plea for amnesty for Kwoyelo. "He has renounced the rebellion and therefore fulfilled all requirements for it,” said Alaka, according to Radio Netherlands. I made several attempts to escape from captivity, but all these were futile and my colleagues who attempted to escape were killed. As a child, I was forcefully introduced, indoctrinated and trained into the culture of brutality in the LRA, like all other abducted children. In fact, Kwoyelo’s attorney has argued that the failure of the Amnesty Commission and Director of Public Prosecutions to grant him amnesty is unconstitutional, violating the constitution’s equal protection clause. Kwoyelo also expressed surprise that the state, which should have protected him from abduction as a child, is prosecuting him even though he has renounced the rebellion. If the Amnesty Act is struck down, it will without a doubt have severe consequences for LRA defections, a priority for bringing an end to the crisis. Tracy Fehr contributed to this post.